We are a family of five plus two dogs living in Florida so keeping the sand, dirt and pet hair out of our home is always a challenge. Due to my daughter’s severe asthma it is even more important to have a clean carpet and flooring. I thought that we had been doing a good job using our old vacuum cleaner along with our robotic vacuum however that perception has shockingly changed since our first use of the Dyson DC65 Animal Bagless Upright Vacuum which is now available at Best Buy and has been certified asthma and allergy friendly™ by the Asthma and Allergy Foundation of America! The Dyson DC65 is this brands most advanced model which uses Radial Root Cyclone™ technology to remove more dirt, dust and allergens from our home. In fact, Dyson is so proud of this newest model that they note it can “clean better than any other vacuum across carpets and hard floors.” Since I am very attached to my robotic vacuum, I really wanted to put this model to the test to see if it meets up the claim. Prior to using it the first time I had vacuumed with our old brand upright the day before and programmed the robotic vacuum to clean that night. The next day with nothing unusual happening other than our day to day in and out of the house, I used the Dyson DC65 for the first time in our living room and dining room area. The results left my husband and I absolutely shocked because we expected this vacuum to be able to pick up additional dirt but we did not expect what we found collected in the clear dirt bin……..over two pounds of dirt, dust and hair! We had mistakenly thought all of this time that we were doing a good job of keeping our floors clean and this was a real eye opener. 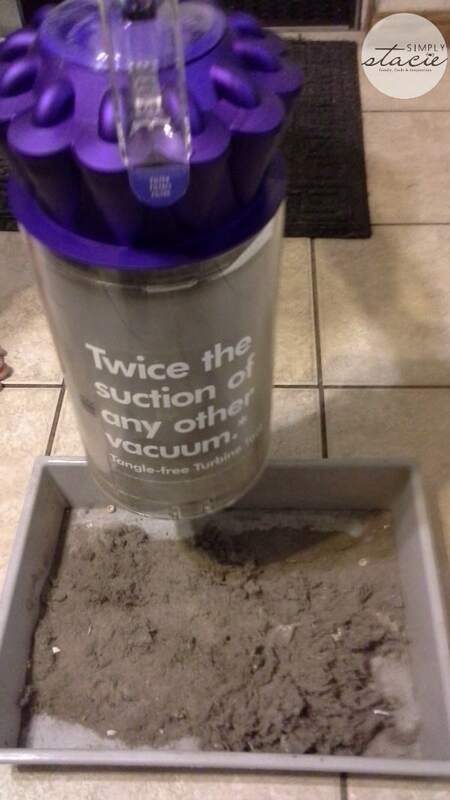 Another great feature of this Dyson model is the hygienic dirt bin as it is is so simple to empty the contents into the trash with just the simple press of a button which empties it instantly. 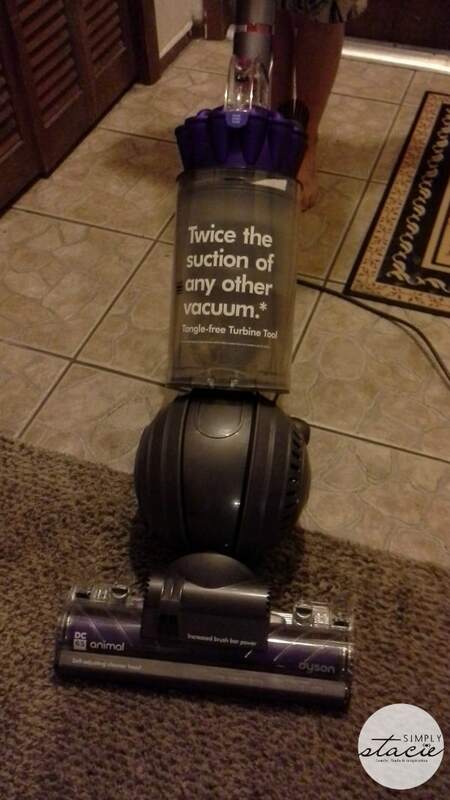 Therefore, in my personal experience it not only met the claim of “cleaning better than any other vacuum” but it actually exceeded our expectations. This 180AW of suction power of the Dyson DC65 Animal is exceptional and I found it interesting to learn that this vacuum was designed using a self-adjusting active base plate in order to have the optimal cleaner head for every floor type so that it maximizes suction power while also reducing air leaks. This makes it ideal for me to use on our carpets and tile floors too without having to use a fixed setting that doesn’t self-adjust to different types of flooring including hard floors. For additional cleaning power, this vacuum features a reconfigured brush bar so that I have 25% more cleaning power as the bristle really digs deep into the carpet to remove dirt. This brush along with the suction power makes a huge difference in my opinion as evidenced by the massive amount of dirt and dust removed even after I had vacuumed with another brand as well as the robotic cleaner just prior to using this vacuum. I was also very impressed that the Dyson DC65 vacuum uses Ball™ technology which gives this vacuum better pivoting than any other vacuum I have ever used. It allowed me to easily vacuum underneath tables, low areas, along wall edges and around furniture to get to all those forgotten areas where allergens, dirt and dust settle. This vacuum is extremely easy to maneuver and handle so it can be used by everyone including the elderly and kids. This model also has lots of handy attachments including the long-reach telescopic wand that we used to clean our ceiling fans (it removed ALL of the accumulated dust) and the corners of the wall. The soft dusting brush is very useful and I really appreciate that it has a tangle-free turbine tool with “counter-rotating heads” to remove even more hair and dirt which I found especially useful for cleaning furniture. It even has a lifetime washable filter. There are three models to choose from including the Multi-Floor (SRP $499), the Animal (SRP $599) and the Animal Complete which comes with extra tools and Zorb (SRP $649). This is an excellent value in terms of technology and performance especially since it is built to last at least 10 years and has a five year warranty on parts and labor. It is even designed with the same durable materials used to make crash helmets and riot shields giving me piece of mind that this is one investment that will stand the test of time. 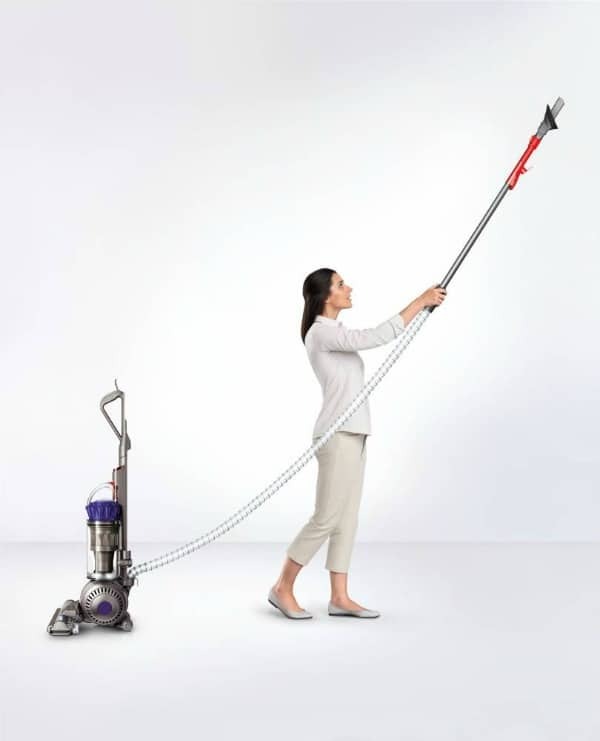 You are invited to visit Best Buy online to see a demo and read about all of these features or head over to your local Best Buy store to purchase the new Dyson DC65 upright vacuum…..it has changed my perspective forever on getting my carpet and hard floors really clean! Connect with Best Buy on Facebook and Twitter. (dyson dc65 vacuum now available at best buy) I have been wanting one of these good vac’s for along time now. Right now it is not in our budget though, maybe someday I’ll be able to get one. I have a Dyson and it’s the best vacuum ever! Amazing and scary all that it picked up. It must have good suction. I have a Dyson but really like the features on this one. Great review. 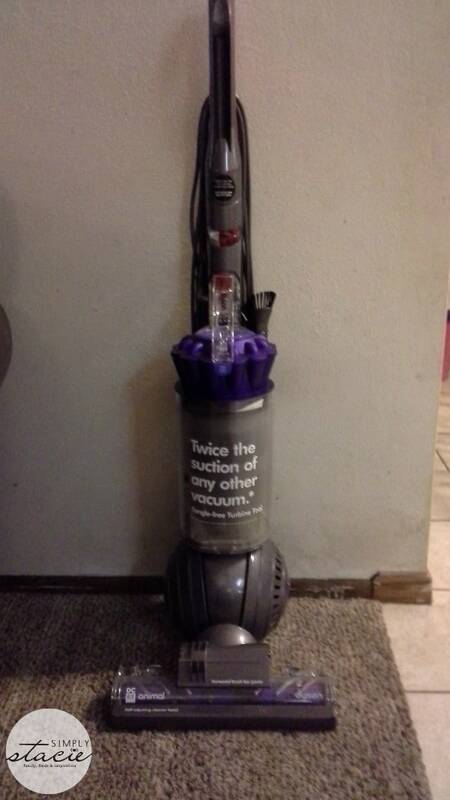 We need a new vacuum cleaner and would like to check out this Dyson!